Adolf Hitler orders a German rearmament and violates the Versailles Treaty. Germany occupies the rest Czechoslovakia. The Luftwaffe attacks the British Fleets anchorage at Scapa Flow in the Orkney Islands. This raid causes the death of a British civilian, the first of the war. 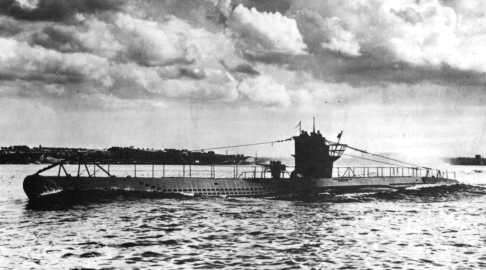 The Kriegsmarine loses two of its most successful U-boat commanders, Kretschmer (U-99) and Schepke (U-100) to British escorts from convoy HX112. British troops from Aden land at and capture Berbera in Italian occupied British Somaliland. Wolfpack ‘Raubgraf’ and attacks convoys HX-229 (37 ships) between until the 19th March, sinking 12 ships for 86,326 gross tons damaging 4. Another wolfpack, named ‘StÃ¼rmer’, attacks SC122 and over a period of four days and nights sinking 11 ships (54,740 tons) for the loss of just one U-boat, U-384 (Oblt. von Rosenberg-Gruszinski). The ‘Chindit’ ‘White City’ base at Mawla severs Japanese communications in northern Burma. Oswald Job, a British subject, is hanged for spying at Pentonville Prison. The British Eighth Army continues to batter itself against Monte Cassino. A Japanese advance through Burma isolates the British garrison at Imphal. During the three-month siege, 150,000 men had to rely entirely on air supply for their survival. More than 400 tons of stores had to be flown daily into a heavily guarded valley, with only three squadrons of Spitfires available for air defence and six squadrons of Hurricanes for attack. Iwo Jima is declared secure by U.S. forces although small pockets of Japanese resistance still exist. Two fresh Soviet armies of the 3rd Ukrainian Front counter attack the German offensive towards Budapest. The US 8th Air Force launches a massive attack (675 bombers) against the HQ complex of the OKH at Zossen 20 miles south of Berlin, but with minimal effect. The German Heavy Cruisers Schlesien and Prinz Eugen give supporting fire forces of Heeresgruppe Kurland in their defense of the Kurland pocket.